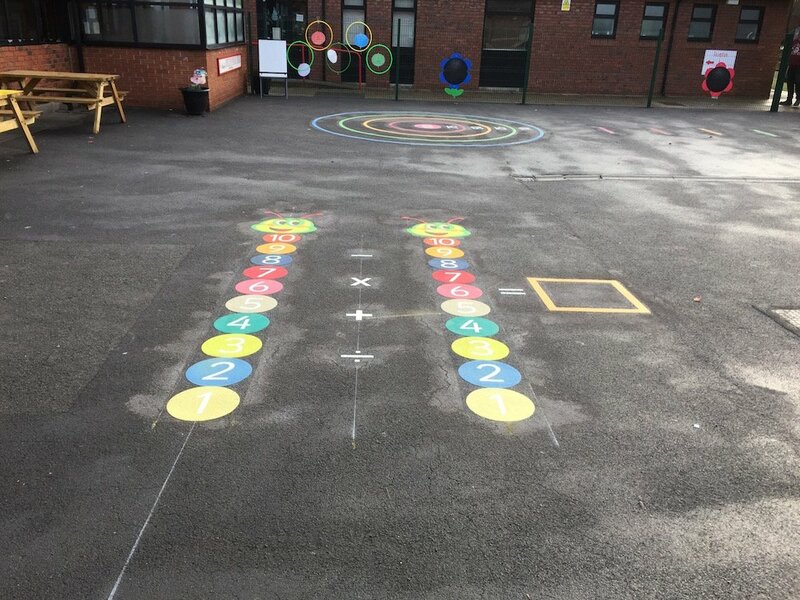 Our installation team traveled to the North west of England to install a range of bright and colourful playground markings for a local Primary School. 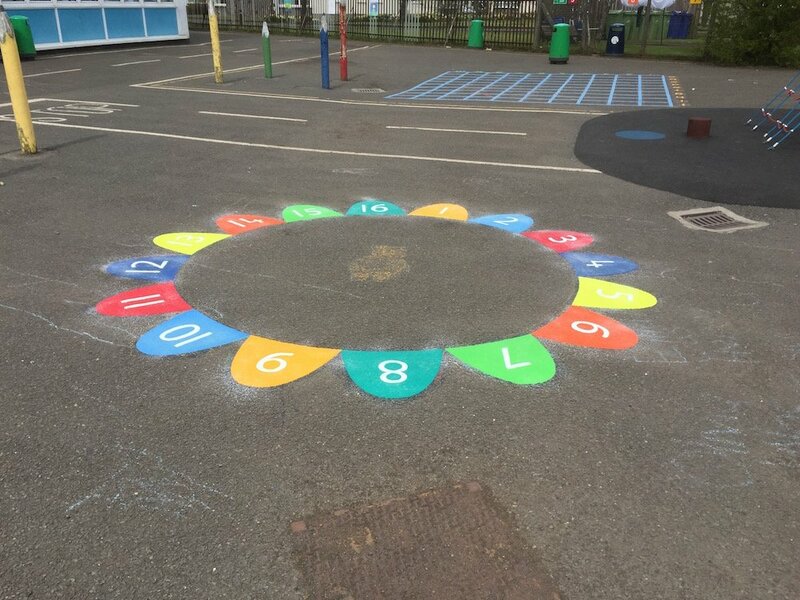 Our installation team traveled to the North West of England to Manchester to install a range of colouful playground markings for a local primary school. 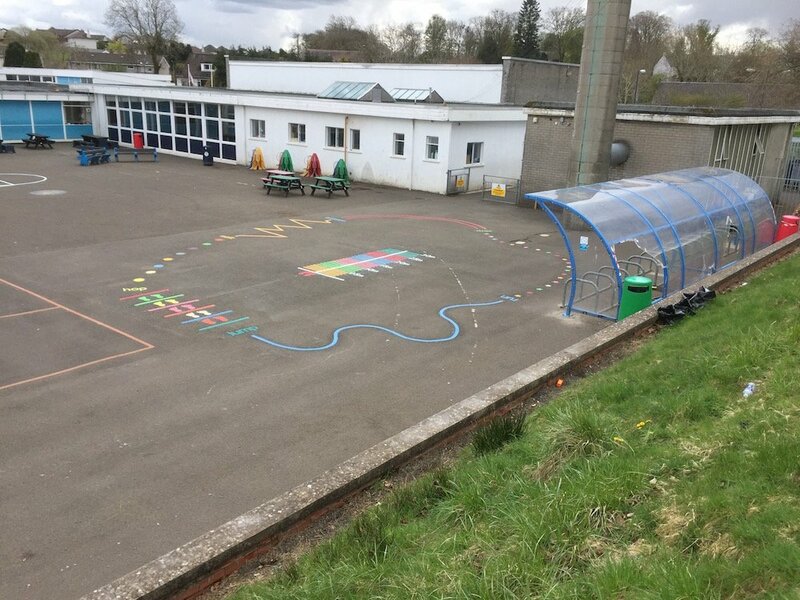 This consisted of a Rose Compass, an Activity Trail, a 1-16 Number Flower, a Whats the Time Mr Wolf and an A-Z Dragon. 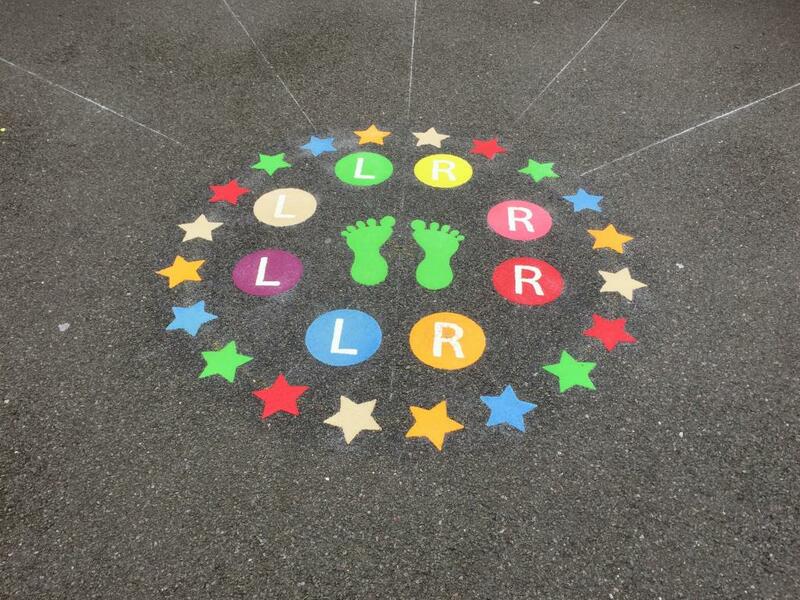 Firstly, the team began with this Rose Compass. 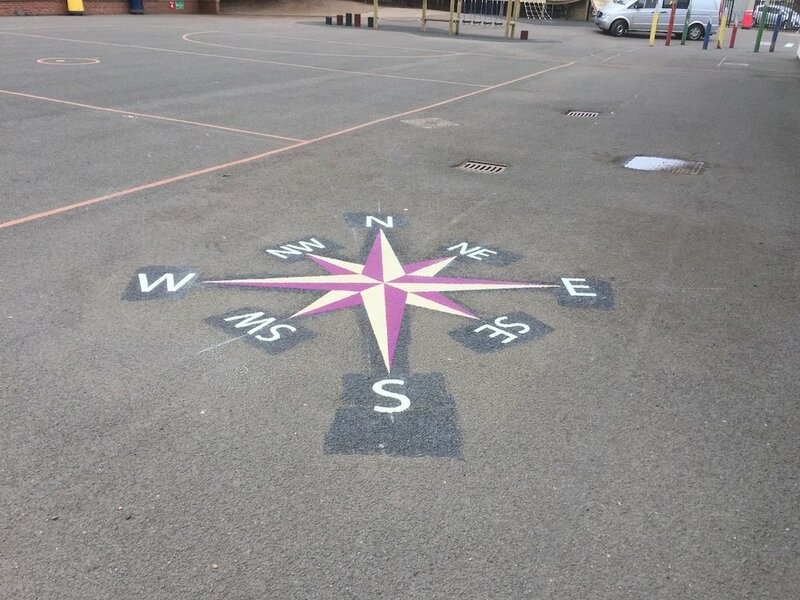 All our Compass’ point directly North. 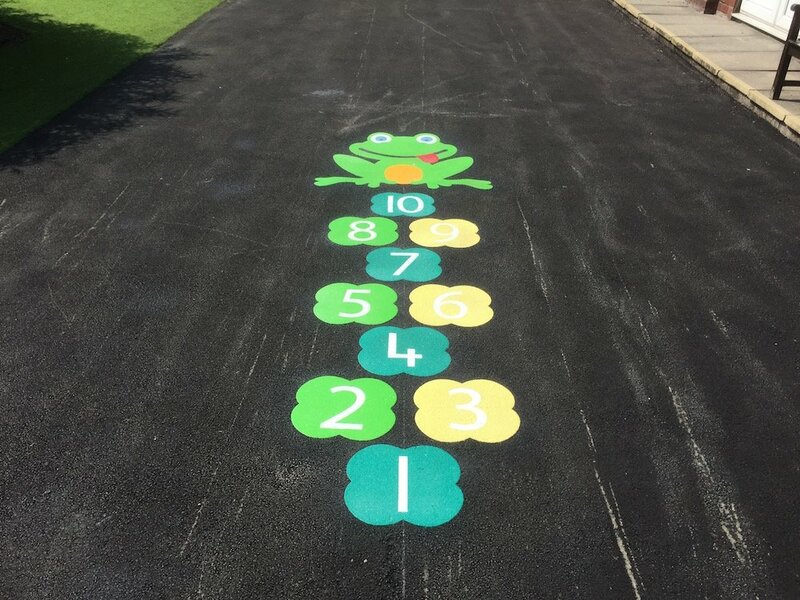 Next the team installed this Activity Trail. 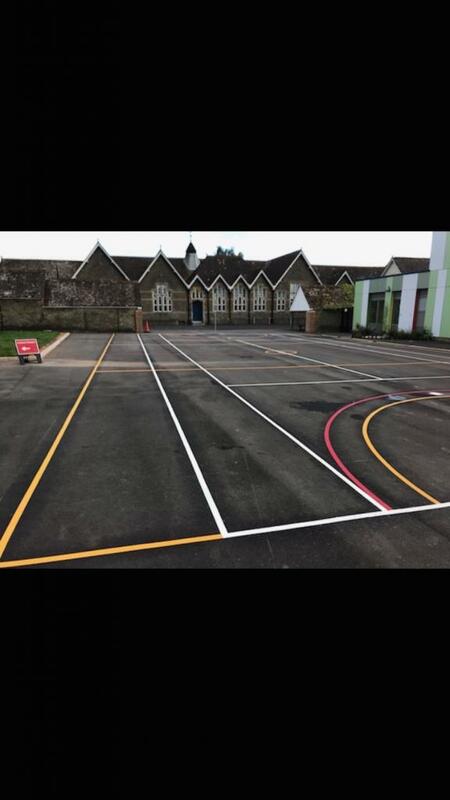 This one had a Standing Long Jump in the centre. 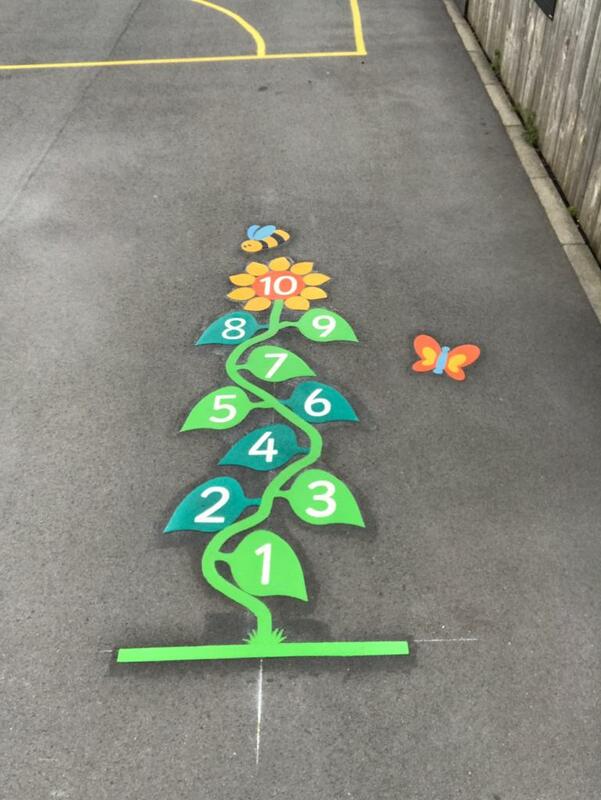 Then our team installed this 1-16 Number Flower. 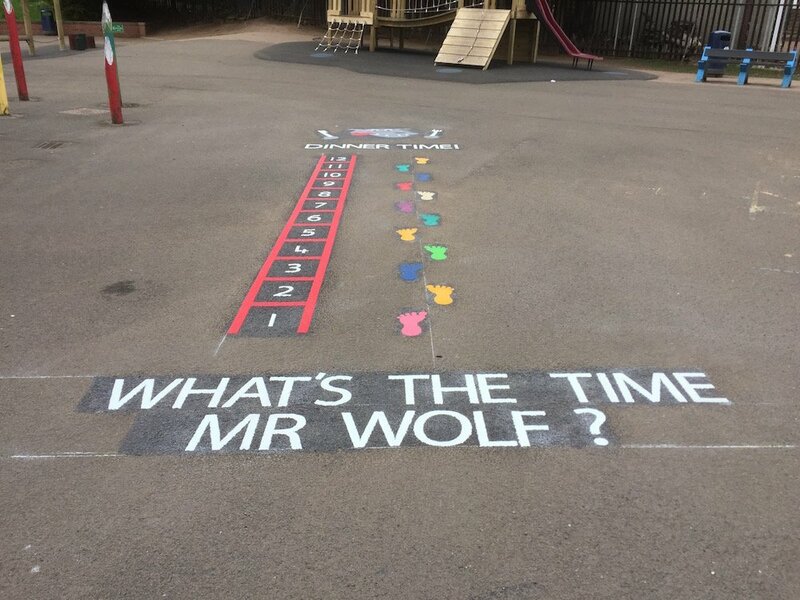 Next this Whats the Time Mr Wolf. 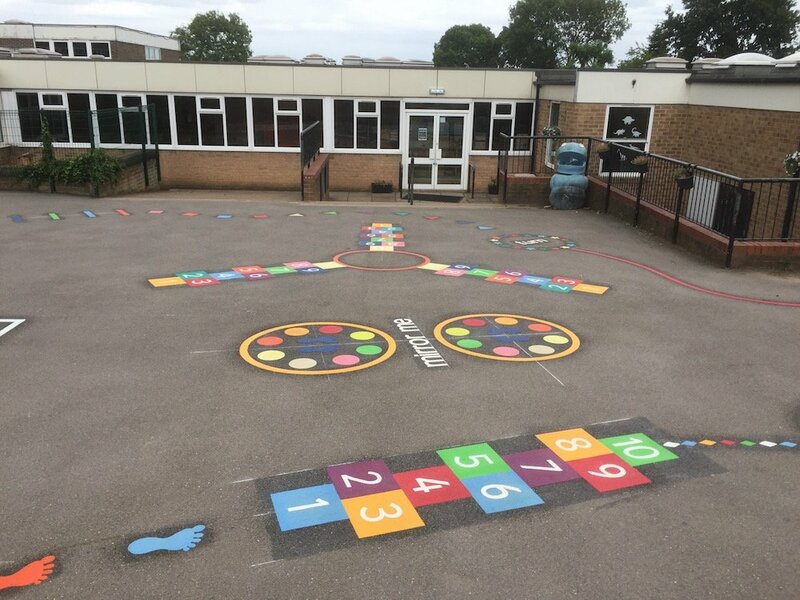 This classic is definitely one of the children’s favourite games. 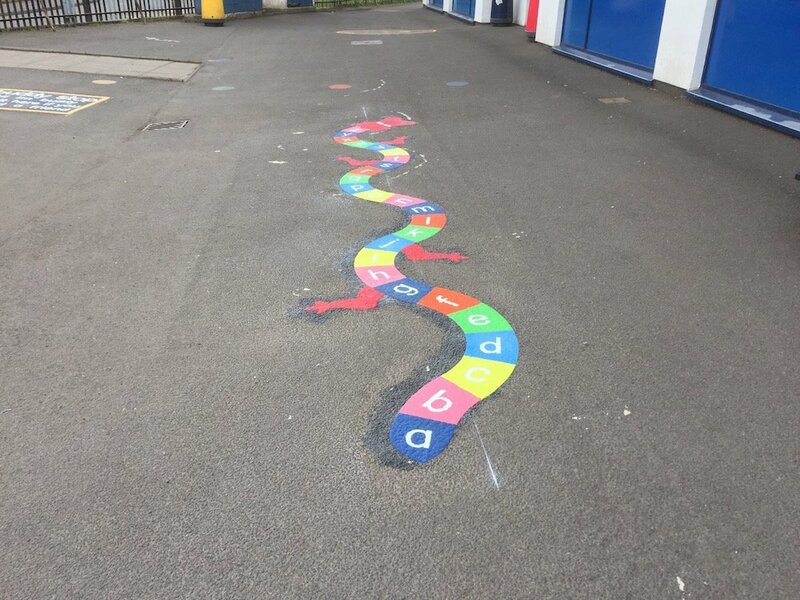 Lastly, we installed this A-Z Dragon. 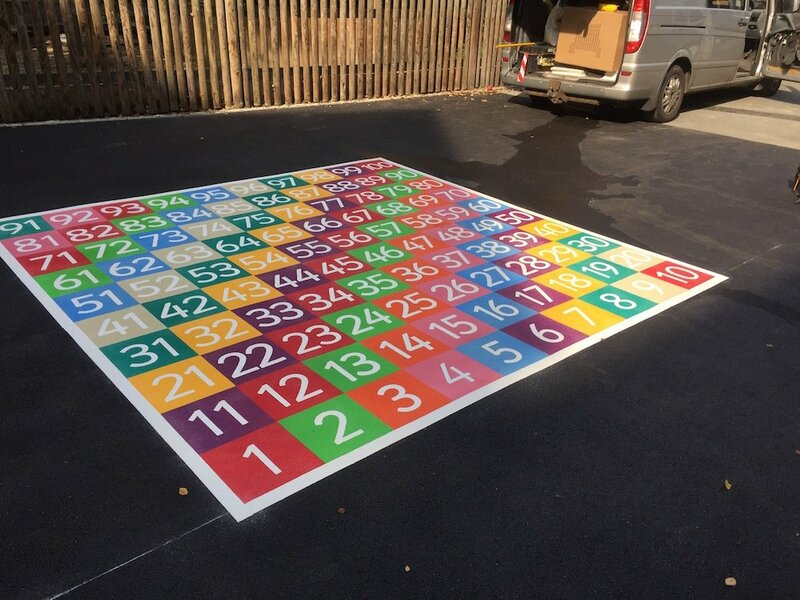 This is a great tool when teaching younger students the alphabet. 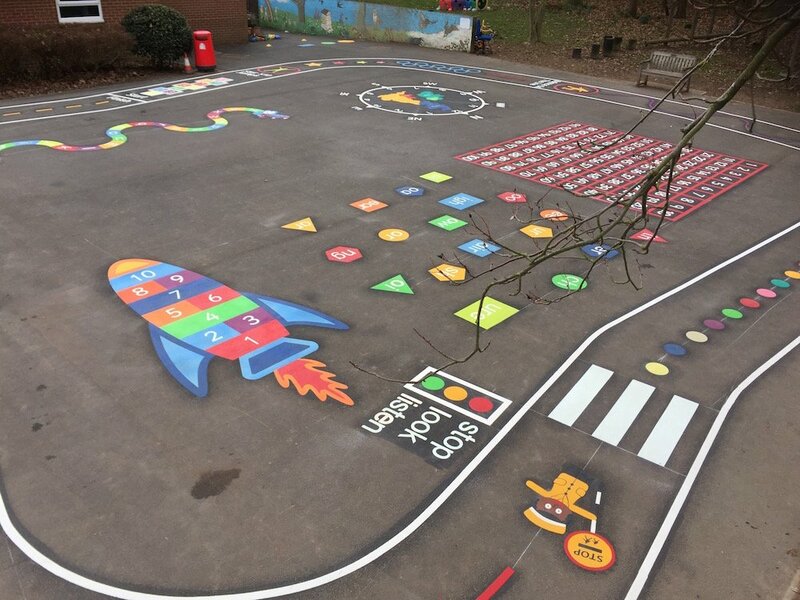 Making your lessons more interactive and interesting for the children.